Hi loves! Today I’m here to share with you guys my finger coils. I did them I a whim, because we all know I have ADD when it come to my hair. 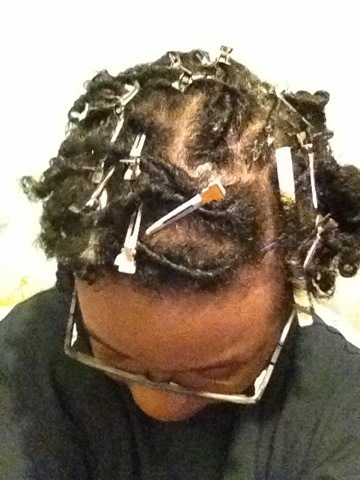 I first cowashed my hair and then began to install the coils. 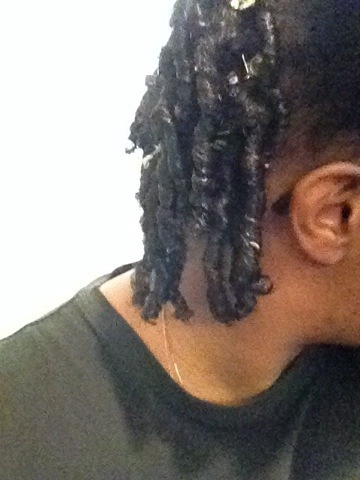 I used my moisturizer and then layered over that with gel to hold the coils. Installing finger coils is really simple, and there are tons of YT tutorials if you need the assistance. The back of my hair coiled up wonderfully. 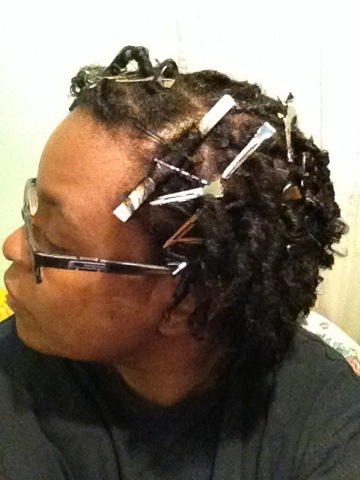 I used single prong clips to keep the root down so that the roots would reman coiled. Then I got to the section of my hair that I like to call the ‘Rosa Parks’ section. She just refuses to go along with the flow, making every style I do kind of wonky. I have a really loose pattern in that area, almost straight. To combat that, I installed a mini straw set. After I was all done, this is how it was looking. I let it air dry and carefully took out the single prong clips. In the morning I woke up and separated. 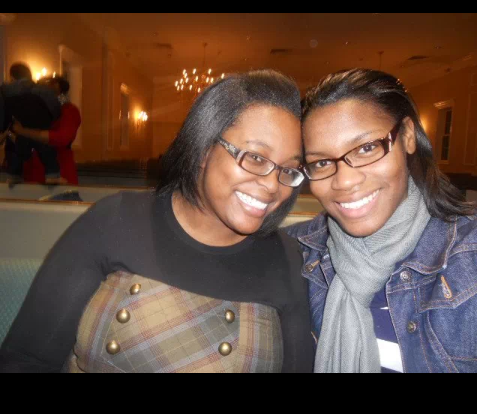 I had a cute, curly fro that was VERY shrunken. Ok, so this was fun. It was a really cute curly fro. 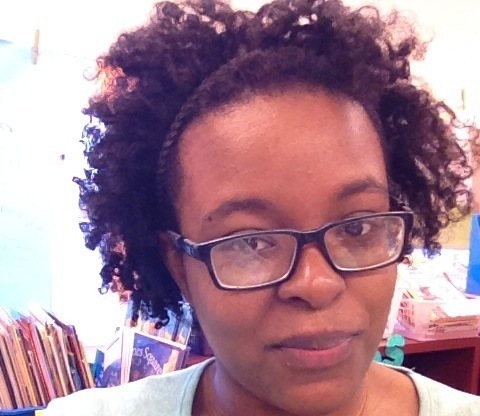 The only bad thing I have to say about this style is that the shrinkage is terrible. 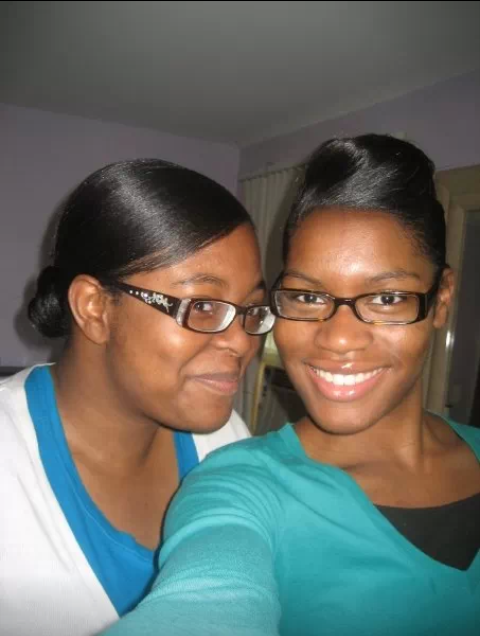 So I wouldn’t do this style again until my hair is at least double the length. Installing the coils wasn’t bad, but some of them were a little less loose than I would have preferred. Hi guys! I’m here tonight to tell you guys some vital information! Irene and I have started our hair vitamin journeys! Irene’s taking Manetabolism, while I’m taking Hairfinity. We’ve been talking about them for a while, and after reading nothing but great reviews, we decided to go ahead and give them a try. So we bought a month’s supply. Today starts our vitamin journey, and we’ll be back in a month to update you guys! Oh, don’t worry, we’ll still be blogging in the meantime! Is water really the best moisturizer for natural hair? This is something I’ve heard time and time again in the natural community. I thought it had merit because when you think about it, it does make sense. Every product that we use contains water in some form, right? 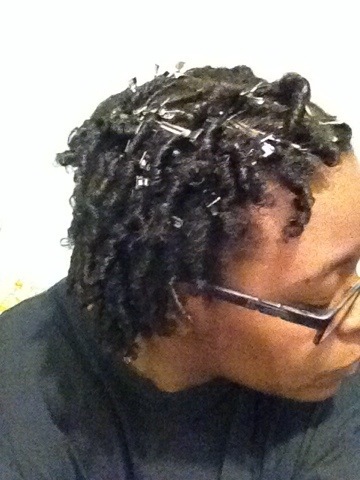 I installed my coils on Sunday and after taking them down, used only water to moisturize and maintain them. I did use oil to seal in the moisture. My hair felt so dry. Like, bone dry. Even after spraying my hair with water and coating it with oil twice a day, I still felt as if a wildfire was about to start. The problem was that the water evaporated so quickly from my strands. Literally seconds after spraying, it would dry up. I think it’s because the water had nothing to bond with. With my usual moisturizers, the water bonds with other ingredients and is able to work in conjunction to keep my hair supple and moisturized. So for me, water alone is a NO-GO. WOMP WOMP. Hello ladies! (And gents!) I’m here with a quick product review. Tresemme’s Smooth and Silky conditioner promises to deliver intense moisturization where your hair needs it most, calming frizz and flyaways without weighing hair down. Light enough for daily use, this advanced smoothing system with Moroccan Argan Oil helps tame unruly hair, leaving it smooth and salon-soft. So guys, I’ve been hearing good things about Tresemme since I started my hair journey. Although I’m not one to follow bandwagon trends, I picked it up while passing by the hair aisle at my local CVS. This specific line was on sale, so it was great for me. I bought it the shampoo and conditioner for $5, while they’re usually $4 and change for each. This conditioner honestly does what it says it will. It’s very effective. It has a lot of slip, and my hair felt smooth while working it in. As you guys know, I finger detangle with rinse out conditioner. For me, this is where this product gets an A+ rating. I usually have to separate my hair into smaller sections to detangle. With THIS conditioner in my hair, I was ably to literally slide my fingers through after working this in. Also, the shampoo and conditioner work really well together. 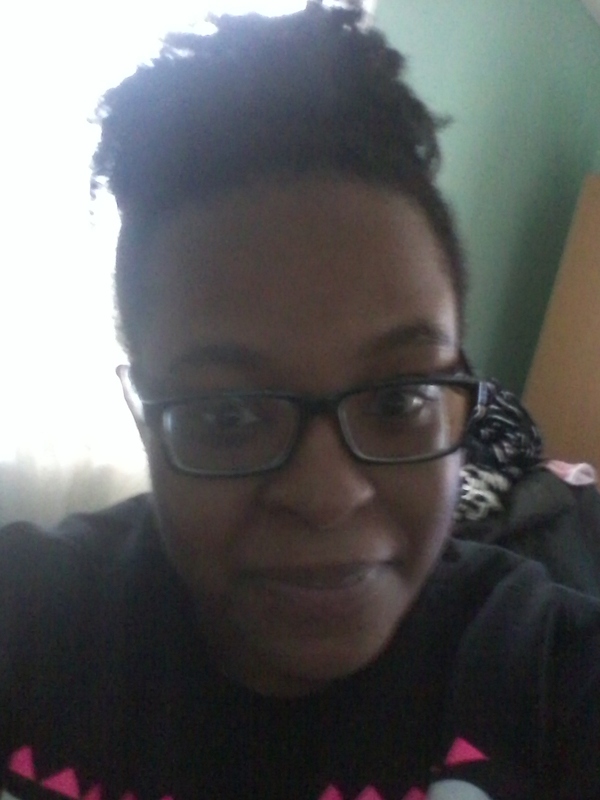 I have virtually no frizz, even when slicking my hair into a puff! I didn’t even use a brush, just a band! I will be using this system for a while(until i find something that catches my eye), and the fact that it’s not too hard on the pocket is very helpful. We all know February is one of the shortest months, so before it flies before my eyes like they always do, it’s time for a tip of the month! I’m just going to jump to the chase. I’m never against using heat, just as long as it’s in moderation, but I can’t stress enough how important it is to make sure you apply a heat protector to your hair if you do choose to use heat. It’s an essential when using blow dryers, curling irons, flat irons, or any heat styling tools. Lately I’ve been noticing a lot of people in my day to day who use heat regularly, but don’t realize what excessive heat can do to their hair, especially without something applied to protect it. Normally they contain silicone’s which help reduce how much heat penetrates the hair and potential heat damage. No one likes those dead straggly ends. The heat protectant market is enormous. They come in plenty of forms sprays, oils, or serums just to name a few. It’s up to you to decide what would work best for your hair, whether it be fine, straight, wavy, thick, or curly. Regardless of hair texture we all should use it. From our hearts to yours, we love you and thank you! Hi everyone! I hope you’re doing well! Irene and I have been telling you that we have some big things planned for DR and this is one of them! 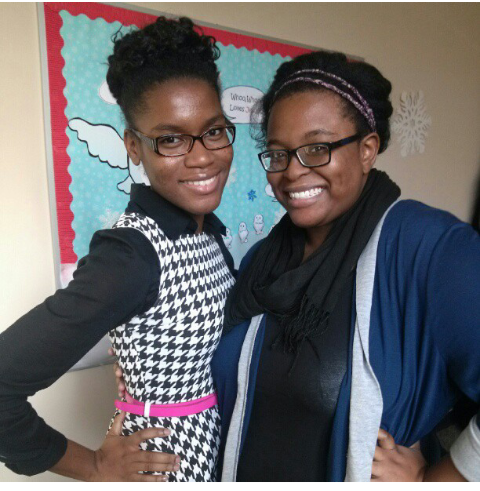 We bring you DivinelyRooted Fashion! We’re slowly but surely adding new categories to DR! I hope you enjoy it! I’m coming to you with the first post in the series. 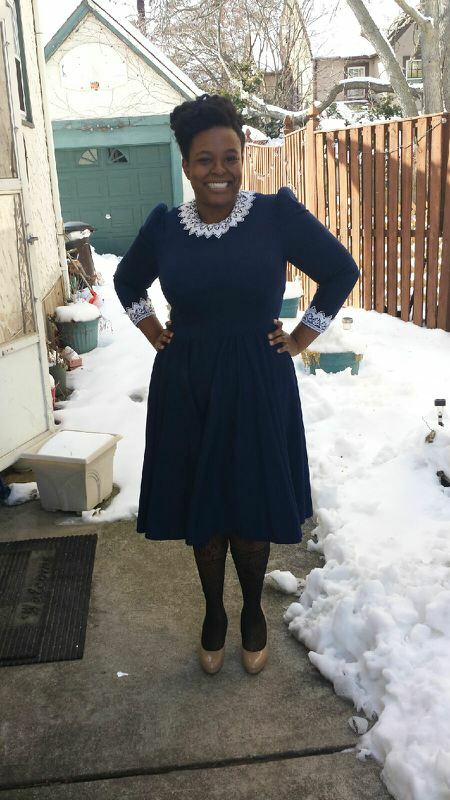 I wore this amazing outfit yesterday and I wanted to share. My goal was to go for understated, yet very elegant. 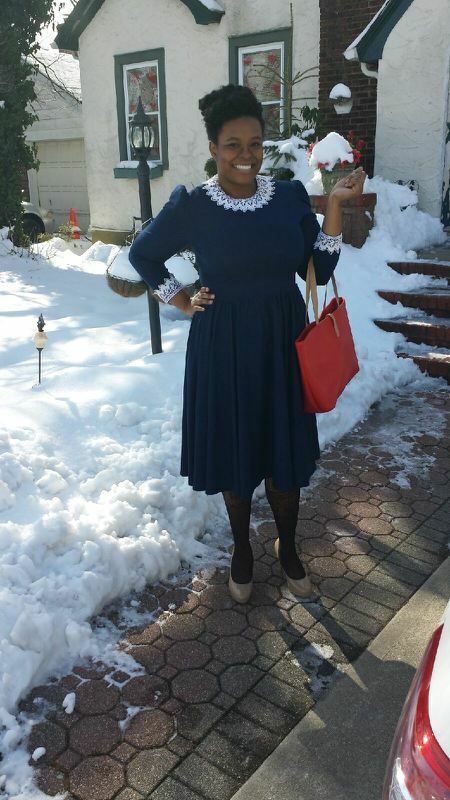 The dress was a fab buy from Etsy (34.50). It had an amazing white trim on the neck and sleeves that I couldn’t pass up.That was easy enough. I didn’t want to be too matchy matchy, so I added some taupe platforms(Payless, 29.99). The platforms allowed me to make the hem of the dress a little more suitable to my liking. Although this dress has pockets (!!! ), I decided on a big bag. The bag (7.49, AliExpress) was red and had a taupe handle, and I used it to bring out the taupe in the shoes.